While looking through this thread of the RODOH forum’s Memory Hole section for censored posts of mine to be mentioned in the commentary to another of Jonnie "Hannover" Hargis’ mendacious victory dances that can be read in my RODOH post # 7717, I came upon several posts of mine that had been deleted or retained on the thread Laws of nature undo Holocaust story of the Cesspit. These posts that never saw the light of day – only the first message I posted on that thread made it – are recorded in my RODOH posts # 1813, # 1820, # 1821, # 1822, # 1823, # 1828, # 1829 and # 1830. I also found my reference, in RODOH post # 1825, to an interesting new character who, under the handle "mscfs2", had started posting on the "Laws of nature" thread, followed by a quote of this poster’s first message. That message and the other messages by mscfs2 published on that thread will be quoted hereafter, not only because their quality contrasts with the trash written by his "Revisionist" opponents, but also because they suggest a technically knowledgeable person more than able to paint "Revisionist" pseudo-science into a corner. In all fairness guys, I don’t like the original analysis. It misses some points in the mass cremation pyre scenario. A pyre has a vertical configuration (layers of bodies above wood) and in my opinion this is crucial to the analysis. I apologize for the rather long post, but please bear with me. A wood fire has a range of temperatures. The range is near 1100 F near the coals to about 300 F at the tip of the flame. All these temperatures exceed the boiling point of water (212 F). Therefore all materials within the flame would be undergoing dehydration. Down low near the 1100 F coals it would be more rapid. Up high (2 meters) it would be slower. But all corpses would be in the process of dehydration. The human body (on average) is about 60% water by weight. If you assume 150 lb average adult then 150 *0.6 = 90 lbs water. 150 * 0.4 = 60 lb of solid matter. With a total dry weight of 60 lbs, of which about 15 lbs is bone, this leaves about 45 lbs for muscles, organs, sinews, etc. But let’s do calculations on the conservative side and call this 40 lbs. All of this dry solid matter is combustible. Of course the “meat” portion is readily combustible. Small bones (toes, fingers, forearm, lower leg, ribs) are combustible. High density bones (skull, upper arm, upper leg, vertebrae, and pelvis) are of lower combustibility. The “meat” is about 40 lbs (dry). The total skeleton is about 15 lbs (dry) with the combustible portion conservatively estimated at maybe 5 lbs (dry). Conservative calculations indicate results of at least 40 lbs + 5 lbs = 45 lbs of dry combustible matter per body. This discounts the lower combustible skull, vertebrae, pelvis and upper limbs. They indeed do burn but require somewhat longer exposure to high temperatures. As stated earlier the vertical configuration of a pyre is in my opinion crucial to the analysis. In a mass cremation pyre the lower bodies nearest the wood fire hot coals (1100 F) would dehydrate first. If they dry sufficiently their dry mass (45 lbs) could ignite and become additional fuel contributing their heat to dehydrating the bodies in the upper portion of the pyre. If these lower bodies do ignite and burn they would eventually collapse thereby lowering the overall vertical dimension of the pyre bringing the remaining upper bodies closer to the hot coals. About what is the volume of the 45 lbs of dry organic matter generated by the dehydration of a corpse? The specific gravity of organic materials ranges from 1.0 to 1.2. Taking a middling value of 1.1 (seems fair) this works out to 62.4 lbs/ft3 * 1.1 = 68 lbs/ft3. Therefore the conservatively calculated volume of the dry matter is roughly 45/68 = 0.6 cubic foot (ft3). If the pyre includes a total of say about 2000 bodies, they could potentially generate about 90,000 additional lbs (45 US tons) of fuel. At 0.6 ft3 per body * 2000 bodies = 1200 ft3 of additional dry organic matter. I believe the original thread indicated 480 ft3 * 0.5 airspace = 240 ft3 of wood. The dehydrated bodies volume therefore almost quintuple (5x) the volume of combustible wood (1200 / 240 = 5). Therefore the crucial point in my analysis is whether the initial 240 ft3 of wood is enough to dehydrate some of the lower elevation bodies in the bottom of the pyre sufficiently enough to allow for them to ignite. The dehydration and ignition of subsequently higher elevation layers of bodies could then continue in an upwards direction through the vertically configured pyre. To calculate that only the wood contributes to the cremation is a remarkable over simplification. There may be other sources of combustibility. Like I said in the first paragraph, I don’t like the original analysis as it completely misses some points in the mass cremation pyre analysis. It considers only the volume of wood as a potential source of heat. It does not include the generation of additional fuel, the vertical configuration of a pyre, the sequential combustion of a pyre, the combustion process of dehydration leading to dry matter leading to ignition, the distribution of temperature over the height of the pyre, nor changes in pyre configuration over time. I still don’t have any idea if this is enough wood fuel to initiate combustion of the entire pyre, but any analysis of this sort must include, in my opinion, at least some acknowledgement of the above referenced points. Let's take a closer look at the initial geometric and dimensional information of the original post. I believe there is an alternate geometric configuration that more fully uses the given information and results in a more functional "roaster". high. The facility was 30 meters wide. with the space between divided by the third rail. I interpret this information a bit differently. I believe there are 5 or 6 rails ( lets say 6 for ease of this discussion) each about 30m long, 18 concrete support pillars at 70 cm height each, parallel rails separated by about 30 cm (1 foot), the pillars arranged in three rows of 6 in each row providing support at the end of each rail (6*2 = 12) and one pillar in the middle (6*1 = 6) of each rail ( near the 15 m mark). This geometric configuration results in full use of the given information. It also creates a roaster that is 5 feet wide (6 parallel rails with 5 one foot separations between each rail). A roaster that is five feet wide certainly provides better support for bodies than the originally proposed roaster that is only 2 feet wide. A 30 m rail does sound a little long, however I have personal experience in providing geotechnical engineering services for the construction of a railroad right of way that was being built with 24 m rails. I understand that in the USA standard rail lengths are 10m, 14m, and 24m. I also understand that rail manufacturers will make rails of darn near any custom length because the production method is a continuous extrusion process. Therefore, I do not find a 30 m rail length to be out of the realm of possibility. As stated earlier, this geometric configuration results in a roaster of 5 feet width rather than 2 feet. This results in a 2 1/2 fold increase in the volume beneath the roaster. Maintaining the original stated criteria of 50% airspace for the wood material this results in an increase in volume of 2.5 fold (2.5x). Therefore the initial wood load is raised from 240 ft3 to 600 ft3. That is a huge increase in the btu available for dehydration. Having seemingly seen it all in debating the cremation aspect of the Holocaust story I would recognize that as the classic 'Holocaust bodies burned like wood' hypothisis. That is the ultimate recourse defenders have to resort to. Ah yes, HOLOCAUST BODIES BURNED LIKE WOOD. When all else fails that's the ultimate desperation. Nowhere in my post did I state that "bodies would burn like wood". In fact I was rather careful in using terminology like dry organic matter, dry solids, dry solid matter, (wet), (dry), etc. Nowhere did I say corpses would burn like any type of wood. I did not imply it. The original poster inferred that statement and it is an improper and unsupported inference. Sorry for the delay in response to your questions. I am involved in a project at work that requires me to be out of town. I am home on the weekends (at the most) until this project moves along a little further. I have very limited time and opportunity at the current time to work on these posts. However, the post will pop to the top of the forum list as I make subsequent posts. This is an interesting question that will take some time to develop an answer. Please give me time. An interesting set of questions from me would be to ask if you think there is inadequate timber in eastern Poland? Do you think there was inadequate manpower available to the SS to perform the lumberjacking work? Do you think the road network in eastern Poland was inadequate to transport the timber from the cut site to the camp location if that was needed? At this time I just have hunches, but in my opinion there is plenty of timber in eastern Poland. The SS had several hundred young men arriving daily on transports that might be used as slave labor. The road network was apparently sufficient to support a national economy of a somewhat modern European country. I am mscfs2 of The Revisionist Forum (TRF). 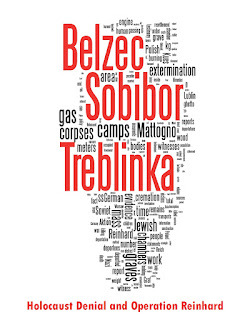 I am NOT a Holocaust revisionist. I am NOT a Holocaust denier. This relationship with TRF did NOT last long. 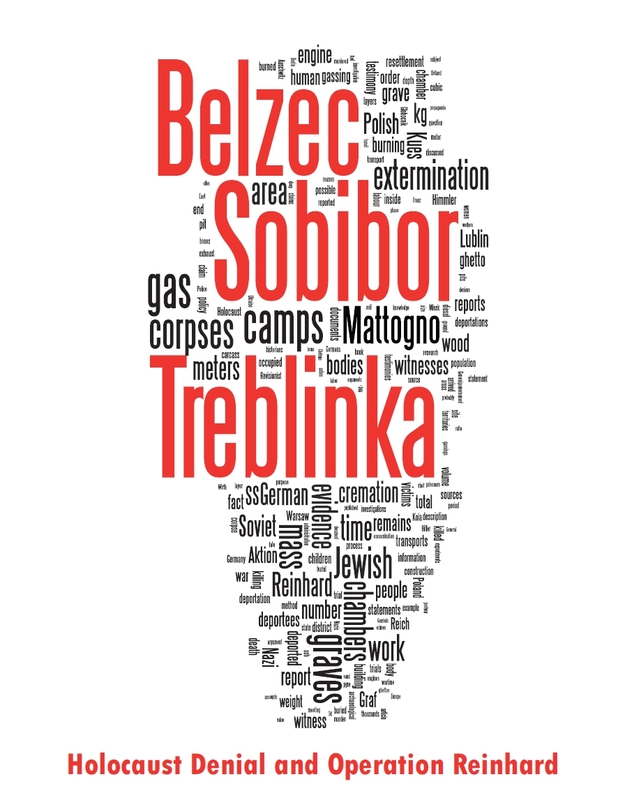 A forum member started a thread about burning Holocaust corpses (Treblinka I believe). His post was a shallow, half baked analysis developed from eyewitness testimony. The original poster had done a pathetic job of interpreting the given information. He also tried to develop an analysis of burning corpses that was severely flawed. My original post was to suggest an alternate configuration of the "roaster" that used the given eyewitness information more fully. It also suggested that the original post was simplistic in its analysis of the burning of organic material on pyres. My "alternate configuration" post then came under broad attack even though not one single forum member could counter any of the specific statements I made in my posting. Hannover challenged me with several off topic questions and accused me of "dodging" his questions. My plan was to make sequential posts allowing time for counter arguments from board members between topics. I submitted the "timber requirement" analysis. It established the total timber requirement for firing the roaster as about 180 acres. That is about 0.3 square mile. Not even remotely close to the "vast deforestation" claim made by Hannover. Of course the post is reviewed by a "Moderator" before posting. The Moderator accused me of performing an analysis of "modern timber harvesting" and refused to make my post public. It was deleted, or more correctly never saw the light of day. I submitted several demands to the "Moderator" that my "timber requirements" submission be posted and to let the board membership argue its merits. None of these requests saw the light of day. Within several days my account was also dead. So much for the claim of fair and open debate. Recently, an aquaintance saw mention of my handle (mscfs2) at a web site with a statement that a Roberto was trying unsuccessfully to contact me by e-mail. I recognized your handle from TRF. My aquaintance could not remember at which web site he had seen the post but wrote down and delivered to me the Cortagravatas e-mail address. My aquaintance also stated the topic had something to do with destruction of Holocaust bodies and The Revisionist Forum. I know it has been months since my banning at TRF but I thought I should contact you. I hope this address is correct and still current. As I had suspected, mscfs2’s apparent failure to respond to his opponents’ later posts had been due not to his having given up the fight, but to what is the usual cause for such outcome on "Hannover" Hargis’ forum: cowardly censorship of an inconvenient poster, who was eventually banned. What is more interesting, though, is that mscfs2, who is a geological engineer, had made a calculation of the timber requirements for the roasters at Treblinka which, if I understand his e-mail correctly, points to a much lower amount of wood than I calculated in my article about clip # 23 of the One Third of the Holocaust video. This calculation, if accurate, would confirm the assumption, expressed at the start of my article about clip # 25 of the same video, that my calculation of the required amount of wood is on the high side. According to this site, the estimated saw-log volume in a North American pine forest is 14.5 cords per acre, which would mean that the 180 acres calculated by mscfs2 correspond to 2,610 cords of wood. The amount I calculated in this article, 30.9 cords of pine wood per incineration or 23,175 cords for an assumed 750 incinerations of 1,000 corpses each, is almost 9 times higher. Even if they incinerated about 2,000 corpses at a time and thus required only 375 incinerations to burn 750,000 corpses, the amount of wood according to my calculation would still be more than 4 times higher than the amount calculated by mscfs2, assuming that he made his calculations for 750,000 corpses like I did. It would be interesting to see how mscfs2 (who is identical with the Axis History Forum poster "Pangea" I mentioned in this article, by the way) arrived at his result and explained the technical plausibility thereof, which is why I hope that he will visit our blog for a discussion about this matter.